Philanthropist Maureen O’Gara Hackett of Houston today received the Shaw-Hardy Taylor Achievement Award from the Women’s Philanthropy Institute (WPI) at the Indiana University Lilly Family School of Philanthropy. The Shaw-Hardy Taylor Achievement Award recognizes philanthropists, nonprofit leaders, volunteers, change agents, fundraisers and researchers who have moved women’s philanthropy forward and have demonstrated significant impact on the field. Hackett’s unanimous selection by the WPI Council honors her volunteerism, leadership, and board service to many causes in Houston, Nantucket, Indianapolis and elsewhere across the country. In particular, the award recognizes her generosity in creating the world’s first endowed chair in women’s philanthropy, the Eileen Lamb O’Gara Chair in Women’s Philanthropy at the Lilly Family School of Philanthropy. The award was presented today during the school’s annual symposium, #WomenLeading Philanthropy, in Chicago. The endowed chair, a gift from Hackett, her husband Jim and their family, is named in honor of her mother, Eileen Lamb O’Gara, an entrepreneurial business woman who dedicated her life to helping and caring for others. As chair of the Lilly Family School of Philanthropy’s board of visitors and a board member since 2008, Hackett has helped guide creation and development of the world’s first school of philanthropy. Her philanthropy and that of her family reflects a deep commitment to family, faith, and education: they are passionate about mental health care advocacy—Hackett currently is chair of the Menninger Clinic Foundation board and a member of the clinic’s board—children’s health, Catholic education, and youth development, among other causes. Hackett began her volunteerism at fourteen and has worked in the philanthropic sector in various positions for over 30 years. She has been dedicated to making a difference in the lives of others throughout her life. She is an active board member, advisory board member or trustee for charities around the country, including among others the Alliance for Catholic Education at the University of Notre Dame, the Behavioral and Development Collaborative at Texas Children’s Hospital, the Greater Houston Community Foundation Council, the I Am Waters Foundation, the MD Anderson Cancer Center Board of Visitors, the Mental Health America Foundation of Greater Houston, the National Council of the American Film Institute and the President’s Advisory Council of the University of St. Thomas. 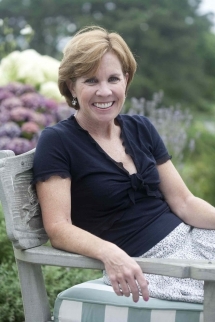 She is president of the Mental Health Court Foundation, a trustee of the Nantucket Cottage Hospital Board and president and chair of the Nantucket Cottage Hospital Foundation. She has received numerous honors and awards for her philanthropic leadership. The recipient of many awards, Hackett has been honored with the Maurice Hirsch Award for Philanthropy and the Gary Levering Mental Health Impact Award and has been inducted into the Philanthropy in Texas Hall of Fame. The Shaw-Hardy Taylor Achievement Award is named for Sondra Shaw-Hardy and Martha Taylor, who saw the power and potential of women’s involvement in philanthropy long before it became a recognized trend. They founded an organization to advance women’s philanthropy, which evolved into the Women’s Philanthropy Institute, now a part of the Indiana University Lilly Family School of Philanthropy. Shaw-Hardy and Taylor were the first recipients of the award, receiving it in 2008. It was presented to philanthropist Barbara Dobkin in 2011.